11 February, 2019, Bangkok, Thailand : Chinese kickboxing superstar Han Zi Hao left China and moved to Thailand over 10 years ago to pursue his professional career in Muay Thai, a huge sacrifice for him in order to further his skills and one day make a name for himself amongst legends. “I grew up watching his matches. Naturally, he became one of my idols because I worship all the legendary figures in this field.”Han began his quest in 2018, being dubbed as ONE’s Super Series Most Active Athlete of the year. 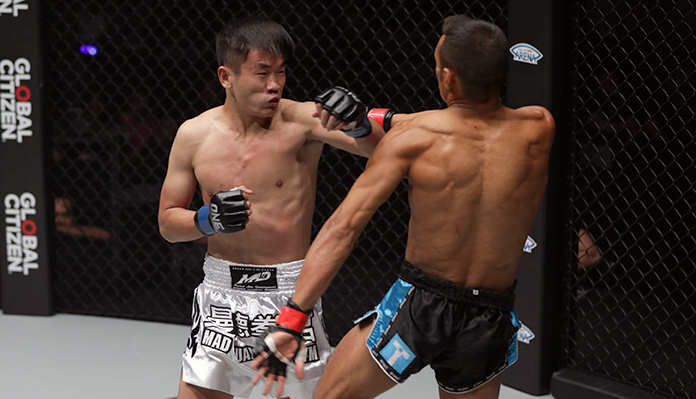 Along the way, he overcame challenges posted by opponents such as Stergos “Greek Dynamite” Mikkios, Ryan “The Filipino Assassin” Jakiri, and Azwan Che Wil.